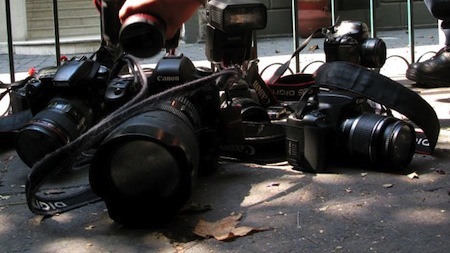 The Iraqi Center for Supporting Freedom of Speech (Rights) recorded 220 violations against Iraqi journalists and 150 others were lay off in 2018, in a different case, including a civilian activist sentenced to six years in prison, a political analyst was arrested, journalists detained and three satellite channels closed, two in Kurdistan and one in Baghdad. They also recorded beatings on satellite crews while covering the opening of a political party headquarters in Anbar province, In the coverage of the activities of Salahaddin University, it was another type of attack that included hitting the head of a media institution to the director of the same institution, and dozens of arrests and detention of journalists by security forces, as well as the prevention of satellite crews and the arrest of cadres because of covering the demonstrations in Basra, In addition to prosecuting satellite reporters on previous reports and threats to journalists and bloggers for commenting on decisions and positions issued by parliamentarians and government officials. 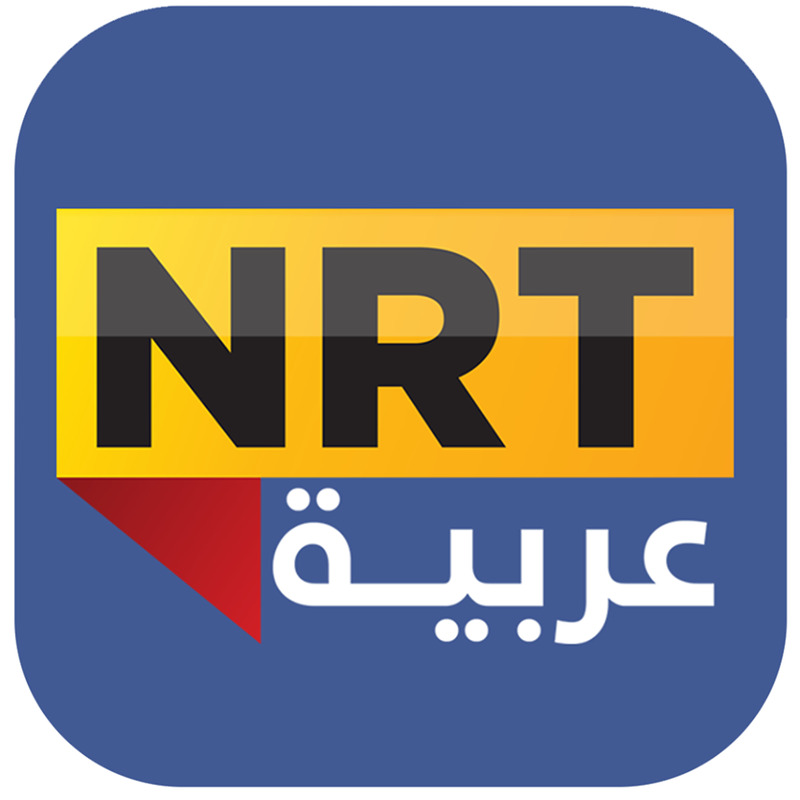 The Iraqi Center (Rights) documented a number of lawsuits filed by government institutions, especially a lawsuit by Susan Mohammed Jawad, Director General of the Ministry of Agriculture, against Ahmed Salim Al- Sai’edy, the director of Al- Furat satellite channel, and the newscaster Laith al-Jazairi, In addition to the threat of a television reporter in Karbala by a candidate in Al-Fatah alliance, to file a lawsuit because of the broadcast of the channel for television reports on election propaganda, And issued a warrant for the theft of government files on Hossam al-Kaabi correspondent (NRT Arab) in Najaf following a complaint filed by the administration of Najaf airport, and also sued two officials in Karbala, the correspondent of the same channel in the province following television reports on the local affairs. The Iraqi Center (Rights) has also received several reports from bloggers who have been subjected to tribal harassment on the basis of their views on social media sites, but their names expose their lives to danger. While the Iraqi Center for the Defense of Freedom of Expression (ICHR) deplores these violations, it calls on the government to direct its staff and members of the security forces in particular to cooperate with journalists and respect their work according to the constitution and the law. While the Iraqi Center deplores these violations, it calls on the government and members of the security forces to cooperate with journalists and respect their work according to the constitution and the law. The Iraqi Center for Supporting Freedom of Speech (Rights) publishes the detailed events of the violations that took place during 2018, reservations about the publication of a number of cases at the request of violators. The attack on the photographer of Al-Furat satellite channel Ali Abdul Abbas in Dhi Qar, beaten and arrested by the local police when he concluded his coverage of the New Year celebrations. The correspondent of Al-Rasad satellite channel in Diwaniya Mohammed Ismail was detained by the security authorities for hours and released after his press equipment was confiscated. The house of journalist Iman Rasool al-Kufi, in Najaf province, was broken into by unknown assailants and stole her press equipment when she was outside the house. Faleh Khalidi, editor-in-chief of Al-Borsa newspaper, was insulted by security forces of the Iraqi customs authority when he was on a business mission. Sarmad al-Abbadi, a reporter for Honna Baghdad satellite channel, was pursued by the police for intimidation, forced to accompany them to a police station and pulled his personal documents. The attack on the Dijla TV crew in Diwaniyah by a group of students from a school in the province, when they were preparing a report about a school incident, believed that the teaching staff incited students to attack the channel team. 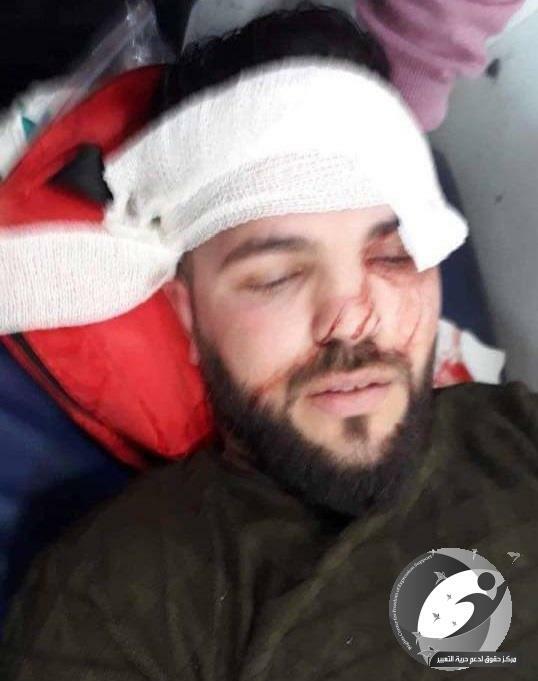 Director of Relations and Information Directorate in the Iraqi Media Network Hussein Ali al-Hassoun is beaten by the head of the network and expelled from his office. Muthanna governor Faleh al-Zayadi is discriminating between journalists by not granting work permits to some media representatives in the province. A civilian activist, Bassem Khashan, was sentenced to six years in prison by a court in Muthanna for two judicial petitions filed by the Provincial Council and the Office of the Integrity Commission. The release of the photographer Khalil al-Barakat in Muthanna after his arrest for hours because of his solidarity with the civil activist Basim Khashan. Unknown assailants attack radio presenter Abdullah Kitan in Maysan province and steal his personal phone. Directorate of Wasit Education sued the director of Al-Furat satellite channel Riad al-Aqili, because of a television report on the educational situation in the province. The security forces of MP Mohammed al-Karbouli, assaulting the staff of Al-Anbar satellite channel, consisting of Moayad Ibrahim and Usama Al-Rashed, while they are doing their duty to cover the opening of the party's headquarters in al-Khalidiya, southeast of Anbar province. The Federal Court of Cassation issues a decision to release the civil activist Basim Khashan and overturns the decision that taken by Al- Muthanna Court. The correspondent of NRT Arabiya in Karbala, Haidar Hadi, was threatened by a candidate in the Fatah alliance to sue for a television report on early election propaganda. Director General of the Ministry of Agriculture, sue the director of Al-Furat satellite channel Ahmad Salem Al-Saadi and newscaster Laith Al-Jazairi because of television articles broadcast by the channel about the performance of the ministry. Unknown assailants assaulted blogger Rida al-Shaibani with knives and bayonets in Diwaniyah. Unidentified assailants beat the correspondent of NRT Arabic, in Babylon Issa al-Atwani, until they distort his face. The head of the Iraqi media network expelled director of relations of the Iraqi news agency Nemir Ali al-Hassoun, from his work because of his objection to the performance of the network. Close to the Minister of Transport chasing Haider Musa Omran, the correspondent of Koll Al- Akhbar newspaper, because he published a series of corruption files belonging to the ministry. Assassination of Ghassan Attia, editor of the seventh daily newspaper in Sulaymaniyah, by unknown assailants believed to be behind the Al- Tacheer Kurdish party. Sentenced to a one-year imprisonment on political analyst Mohammed Naana, following a complaint filed by the head of the Iraqi media network Mujahid Abu al-Hill. Security forces detain a number of journalists in Dora district/ Asia checkpoint, for a few hours and for unknown reasons. Security forces raided the house of Ihab al-Wazzani, head of Al- Herak civil party in Karbala against the backdrop of angry demonstrations because of the deterioration of electricity. Unknown gunmen kidnap civilian activist Mustafa Saleh Bamrani in central Duhok province. The Communications and Media Commission Authority (CMC) filed a complaint on Al-Ahd satellite channel because of the "Capital Time" program presented by Reynas Ali. Najaf airport administration Hossam al-Kaabi, sued the correspondent of NRT Arabic channel in the province, is for disclosure corruption files at the airport and receiving a warrant against him on charges of stealing government files. Asayishforces, Biyam, Sbeida, KNN, NRT and Khandan, prevent the Kurdish from covering the entry of Turkish troops into villages in Erbil. Two officials in Karbala sue Haider Hadi, NRT's Arab correspondent in the province, for reporting on local affairs. The presenter of Al- Harif Al- Wahed program broadcast by Al-Sharqiya News Agency Ahmed Mullah Talal was subjected to a death threat from MP Ali al-Sijeri. Al-Sharqiya News correspondent in Anbar Mustafa Al-Hamed was released four days after his arrest due to a lawsuit filed by Governor Mohamed Halboussi. Al-Sharqiya correspondent in Najaf Ali al-Haj was threatened with physical liquidation by a businessman in the province. Court of Misdemeanors in Karbala A reporter for NRT Arabic channel Haider Hadi of a complaint filed by the director of estate registration due to a television report concerning the forgery of documents. The issuance of a warrant for the arrest of journalist Hashim al-Aqabi because of a complaint recorded by the High Judicial Council after he highlighted the issues related to legal issues. Salim Halol al-Abadi asks the National Security Directorate to check and follow the personal pages of journalists and bloggers and accuse them of spreading rumors in the province. The bloggers Hassan al-Mahna, Abdullah al-Hamzawi and Abu Mukhtar al-Iraqi were sued by the mayor of Afak district of Diwaniyah province, Majid al-Mundhour, for criticizing the local situation in the judiciary. (The director of private media for the governor of Diwaniyah (Khaled Mohammed) threatened (Arkan Abbas) because of his criticism of the work of the electricity complaints committee formed in the province. Three demonstrators were injured in attack by the security forces, in addition to an officer in the command of Basra operations said unacceptable words to peaceful demonstrators. Security forces assaulted the photographer of the Asian satellite channel in Najaf (Zaid al-Salami), severely beaten for covering the demonstrations. The network's staff in Diwaniya province, consisting of Ali Tawfiq, Murtada Mohammed and Karar Alaa, were prevented from covering the events and were beaten by the security forces. 50 arrest warrants and 15 attacks against journalists and bloggers in six provinces witnessed demonstrations. The program Hadeth Al- Nass which broadcast by Honna Baghdad satellite channel and presented by (Majid Salim), was stopped by the Communications and Media Commission because it violated professional rules of conduct. Prevent demonstrators and journalists from entering Tahrir Square in Baghdad for hours by the security forces. Prosecuting the blogger (Kadhem Jawad Bolath) by Wasit governor Mahmoud Mulla Talal under the pretext that he incited the demonstrators to burn his house, and then was released by the Court of Misdemeanors in the Presidency of the appeal of Wasit. The reporter of Al-Hurra TV in Basra, Sa'ad Qusay and the photographer of the Reuters news agency in Basra, Essam al-Sudani, in addition to the reporter of Al-Marbad radio station Ahmad Nagah, beat and confiscated their work equipment for hours by security forces of Basra Governorate building against the backdrop of covering the sit- in there. lessening the job title of the TV director, Rami Al- Lami by the head of the Iraqi Media Network, Mujahid Abu Al-Hill, because of his expression, in social media sites. The governor of Kirkuk, Rakan Said al-Jubouri, is demanding the transfer of files of journalists and bloggers, Ruba Al-Khaki, Imad Jabari, Sa'ad Naji Fadhil Awwad al-Jubouri, Firas Jassim al-Hamdani, Qais Jumaa al-Radwani and Ali Arafeh on charges of inciting public opinion and civil peace in the province. A detained Reuters cameraman in Basra (Essam al-Sudani) for several hours because of covering the protests in the province. The detention of Mohammed al-Khalidi, Samarra satellite channel cameraman in Anbar, by the hospital security force in province. 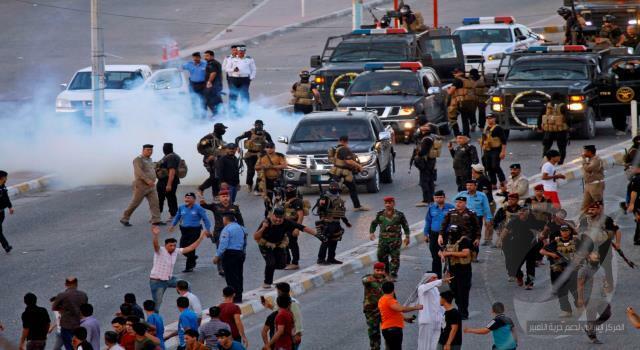 Killing and wounding 36 demonstrators using live bullets by security forces deployed in Basra province. The Diwaniyah Investigation Court issues a communiqué to the activists Rida al-Shibani and Shamel al-Ramahi, who were registered by MP Mansour al-Baiji and a member of the Diwaniyah provincial council, Hakima al-Shibli, on charges of publishing and criticizing Facebook. (Rights) The head of the radio program, Asma al-Oussi, was prevented by the director of the Diwaniyah radio station, Hossam Hussein Hameed, from entering the radio building because of criticism the deteriorating educational reality. Al-Ahd satellite channel in Babylon, consisting of Zulfiqar al-Khafaji and Mohammed al-Safir, prevented coverage of the Husseiniya ceremonies in the province and attacks by the security forces there and in front of Assistant Commander of the Special Task Force in Babylon, Lieutenant Colonel Muhammad Muayyad. The owner of Beit al-Alwah library, Ihsan Mousa, was arrested in Dhi Qar province by intelligence and counter-terrorism of Shatrah on charges of spreading atheism. Television photographer Saif Al-Muhannad was prevented from conducting television coverage of the queues of the citizens who visited the Erbil Education Representative after his press work was withdrawn by the media Education Representative. Eight people carrying weapons attacked the editor of "Najaf Media Network "Dhia Gharifi, in Rawan in the Street in center of Najaf. TV presenter Ahmed al-Kanani escaped an assassination attempt after being wounded in his shoulder by unknown gunmen in the al-Qasim district, south of Babil province. The prosecution of members of the coordination demonstrations Basra Ali al-Nur - Captain Allaibi, Mohammad Abdullah with warrants for a lawsuit filed by the party, "Thar Allah" Islamic in Basra, on charges of burning the headquarters, while they were not present there at the hour of burning, according to their testimony. Diwaniyah governor Sami al-Hasnawi ordered the directors of the departments to ignore the media working in the governorate, especially the local radio stations and limit the dealings with the only government radio. Al-Iraqiya satellite channel, headed by Amin al-Hilali, was prevented from reaching their work place after the completion of the al-Arbaeen ceremony in Diwaniyah province by traffic officer his name, Najah, in addition to attacking the media crew with offensive words. 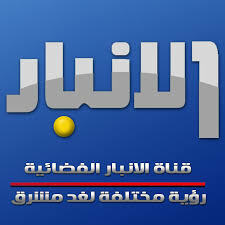 Two members of the Journalists' Syndicate in Diwaniyah, Basim Habas, were terrorized by unidentified men wearing black uniforms and a shaded vehicle, after they told the Habas family that an arrest warrant was issued against him, while the judicial and security authorities denied this. The Communications and Media Commission issued a memorandum to the media institutions to stop the abuse of national symbols, which the Iraqi Center considers a violation of freedom of expression and a clear constitutional violation. 4-month prison term for civil activist Safaa Mahdi Faris on the background of a complaint recorded by the director of the Alexandria district northern Babylon because of a publication on Facebook. Assault on the Iraqi channel team assigned by the media network to cover the celebration of the Prophet birth in Adhamiya neighborhood of north of Baghdad. Assault on the journalist Safa al-Furaiji beating by the President of the Basra Provincial Council Walid Kitan and the security forces order to remove him from the building of the provincial council, and he also directed the expulsion of Al- Tagheer Satellite Channel in Basra and the program's presenter in Al-Rashid radio station, Mohammed Al-Jabri, from the press conference held in the province in the presence of the health ministers and municipalities. Attacks on teachers that they were dealing with Basra education demonstrated to demand their rights by a senior officer in riot control. Al-Furat satellite channel correspondent in Najaf Ahmad Khalil al-Hasnawi prevented the coverage of activity inside the University of Kufa under the order of the head Mohsen al-Dhulmi. Five journalists were arrest in Basra participated in covering the protests after the beatings. The attack on the direct broadcast team of the Fallujah satellite channel in Tarmiyah north of Baghdad and the entry of a military vehicle to the location area. Termination of employee services as a daily wage in the Directorate of Diwaniyah Ammar Hashim due to criticism of the local government on Facebook. Al-Rashid satellite channel team prevented the live broadcast of the Tahrir Square demonstration because it supported the demonstrations in Basra. The arrest of Al-Marbad correspondent for half an hour by the Swat forces in charge of securing the demonstrations that started in Basra.